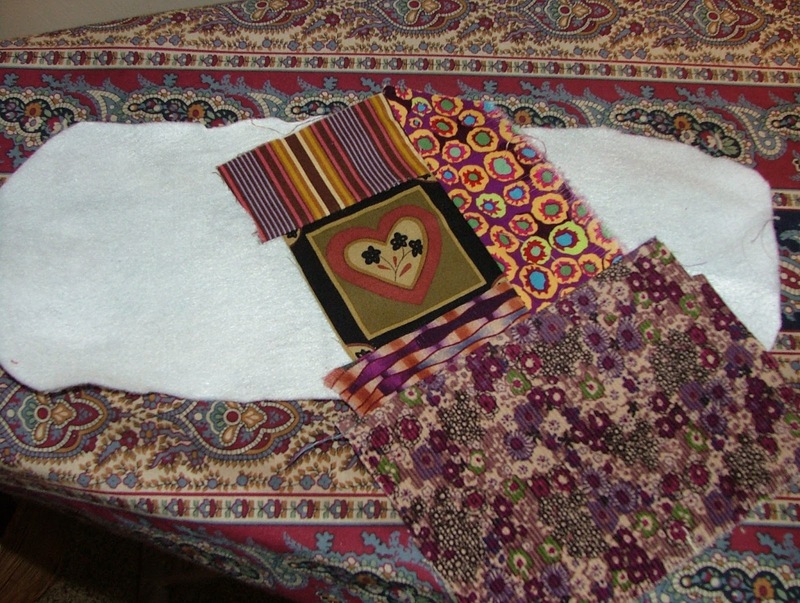 I love making mug rugs and wraps of all kinds, shapes, and sizes! 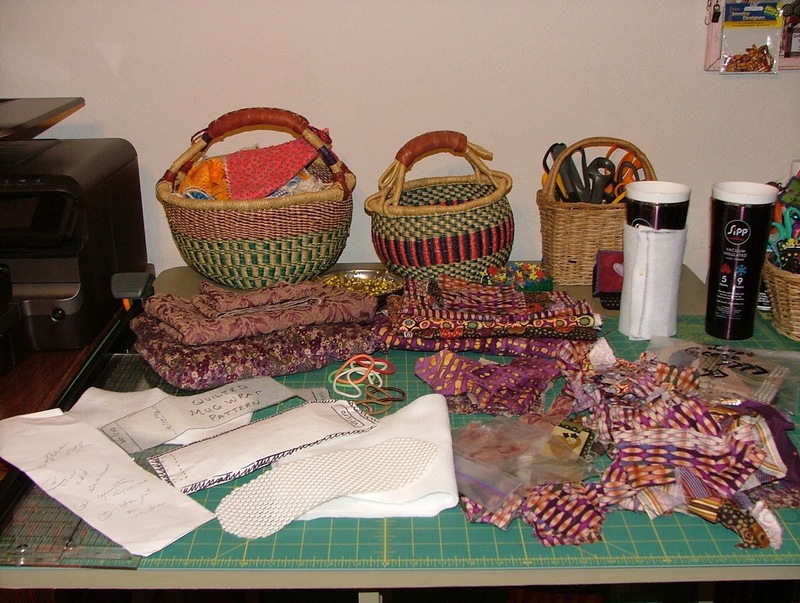 Make them from scraps, make them to match other quilted accessories you own, or give as gifts, and you have wonderful co-coordinating accessories! I made two...one for my household use, and one for the car and I'm ready to go with a hot cup of coffee, or tea at any given time! 1. 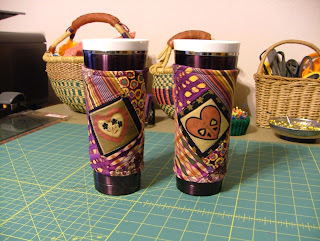 Select your fabrics, thin fleece or interfacing liner, a piece of velcro.....and of course, your travel or regular household mugs for creating your pattern! 2. 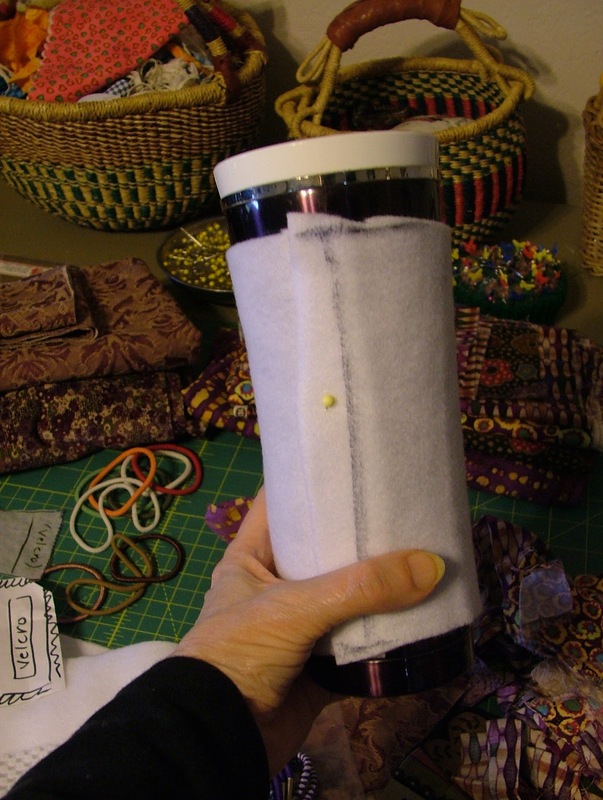 Creating your custom fit mug wrap is simply taking a piece of interfacing, wrapping it around your cup or mug of choice, marking the cutting lines, then cutting it to fit! I like my ends to overlap for velcro fastening placement, later. 3. If you want 'flip and stitch' patchwork, start with a center piece of fabric, then simply add pieces of fabric to any and all sides, one by one in any style or fashion, you want! 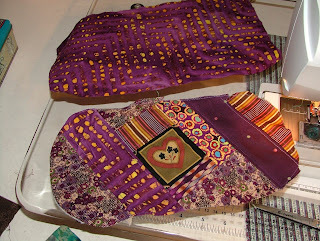 After you stitch one piece of fabric on, iron it down and add another one! 4. 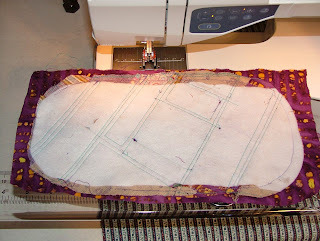 Once your top design is complete, add a section of interfacing behind it and you are ready to quilt the top to the interfacing middle section. 5. 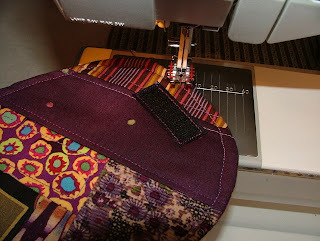 You can use any style of free motion quilting or simple sew next to the seam lines on the front, as I have! 6. 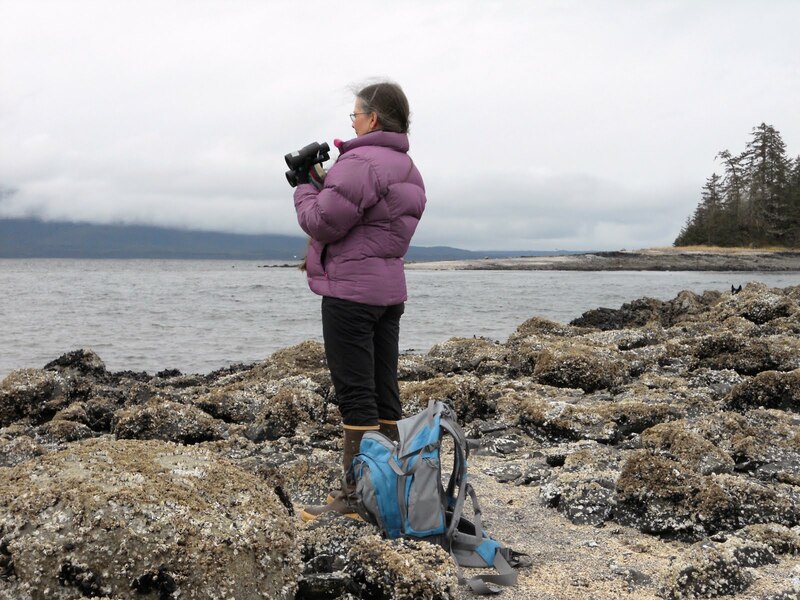 Now you have a quilted to interfacing front and all you need to do is add a piece of backing fabric, cut to your own front pieces size to create the finished shape. 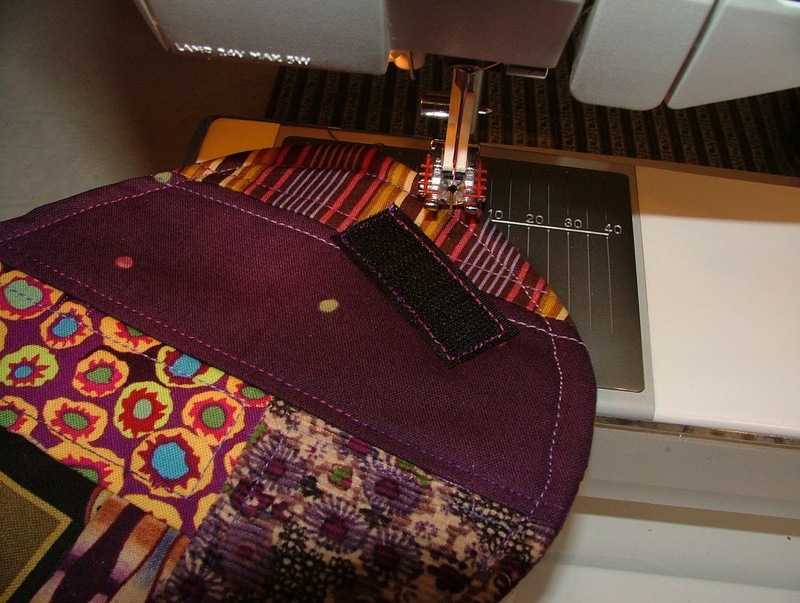 You stitch all around the edges, but you have to be sure to leave a small section open for turning the piece inside out!!! Don't forget to leave the opening! 7. Now flip the mug wrap inside out and there it is! Pin your edges down for top stitching and be sure to tuck in the raw edges of your little opening under, as well. Top stitch the entire piece around the edges to keep it shaped nicely. And new ones to match new bags and purses! And and of course, I make mug rugs! Here are a few of the ones I have created. I'm always sewing new ones but don't always remember to take their official portraits! 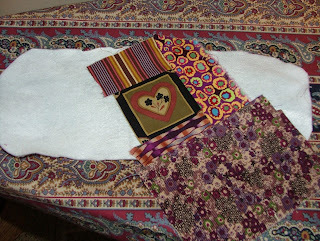 Top Pocket Rug: Time For Tea: the word “tea” appliqued on one side and a cup & saucer on the other (free pdf templates). 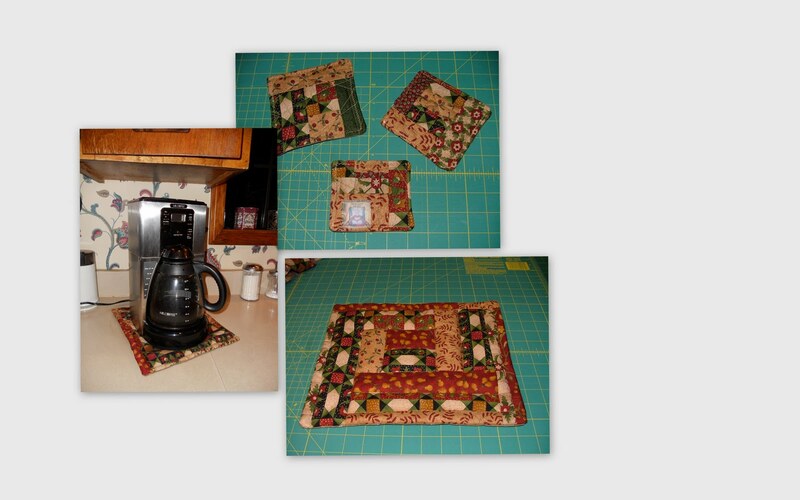 Mug Rug Tutorial: One side has strips of fabric on a diagonal and a block of pretty fabric on the other side.Basic Quilted: Finished size is about 6″ x 9″ and features free-motion quilting. Easter Bunny: Includes a free template download for the bunny (pdf). 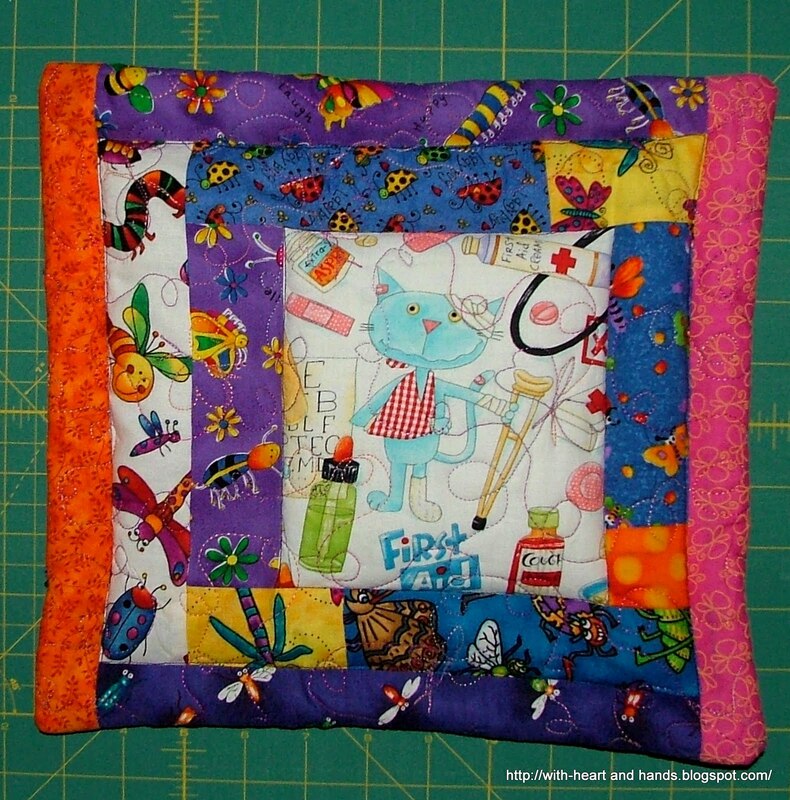 At Home Mug Rug: Charming “house” made with scraps of fabric that is adorned with decorative stitches and bits of lace and trim. 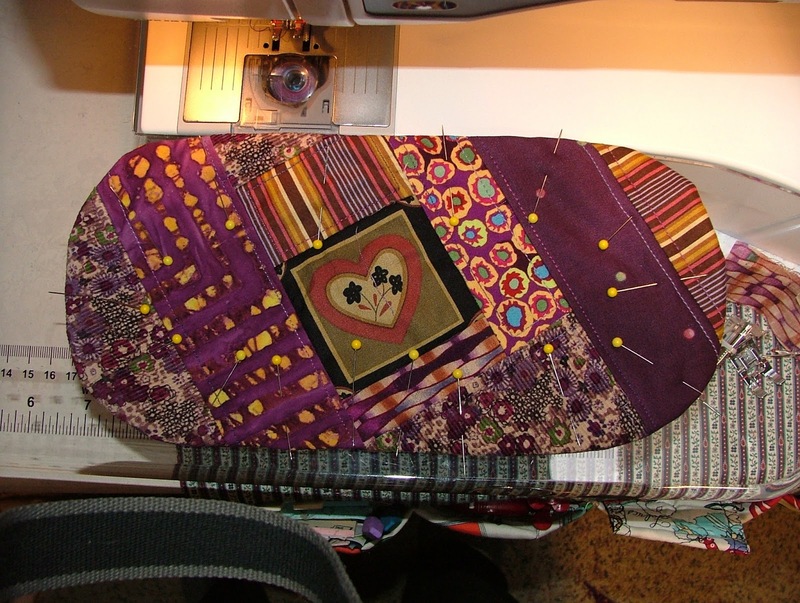 Valentine Heart-Shaped: Quilted heart shaped patchwork embellished with a bit of jumbo ric rac. Free pdf download (tutorial).Scrappy Color Block: Top is made with 9 scrap pieces in assorted colors, a fat quarter (in a neutral solid fabric), backed with batting and fabric. 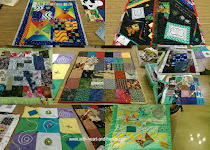 Quilt Block Design: Top of mat features one side in patchwork (using a traditional quilt block design) and a quilted panel on the other side.Mug Rug Tutorial:You’ll find the 2nd part of the tutorial here (for binding). Scrapbusters: Semi Dresden Design: Suitable for Intermediate to Advanced sewers. Pieced Star & Hexagon: A 6-pointed star design in a hexagon shape, finished size measures approximately 9″.Little Cottage: Includes a free template to download (pdf), basic instructions provided. 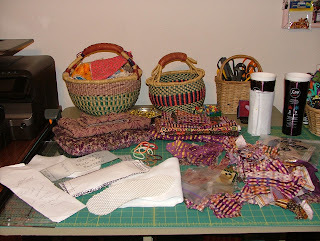 Woven Fabric: Made with a jelly roll, a fat quarter, binding fabric and cotton batting. 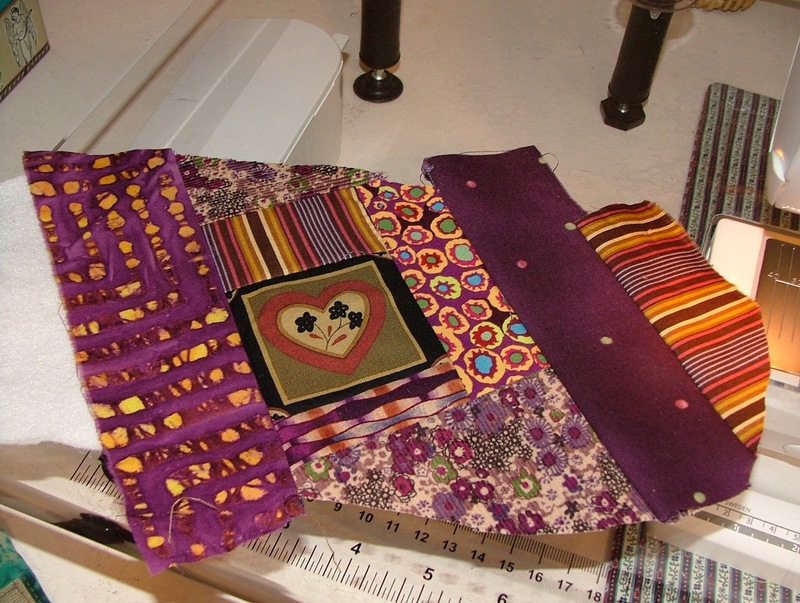 Tutorial via free pdf download.Template: Pieces are cut (8) then assembled and sewn together, lined with fusible fleece, quilted then trimmed with bias tape. 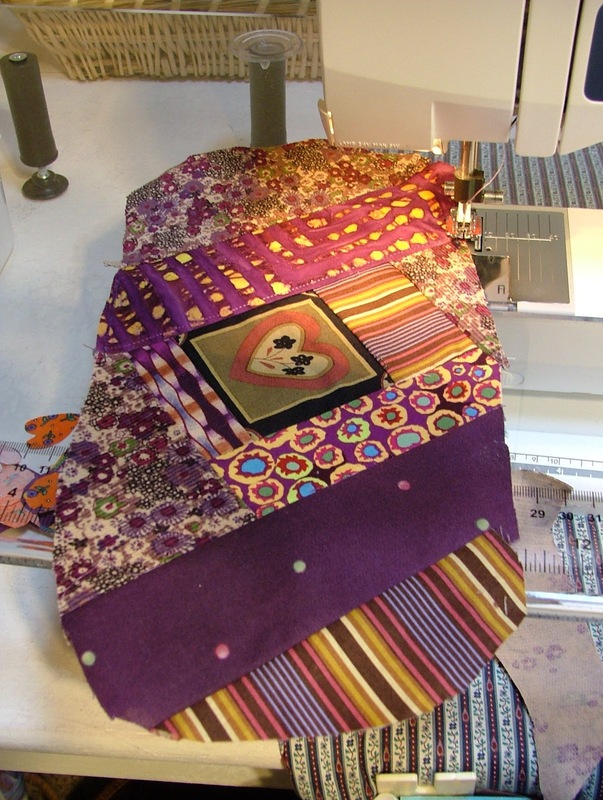 Selvedge: Quilt as you sew with this cutie, features round edges and trimmed with fabric cut on the bias.Moustache: There’s a template you can download with four different moustache designs. 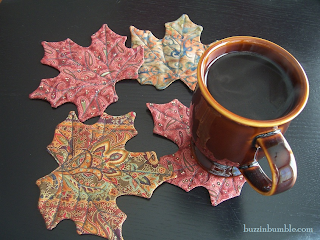 Buzzinbumble and lovely leaf coaster rugs! 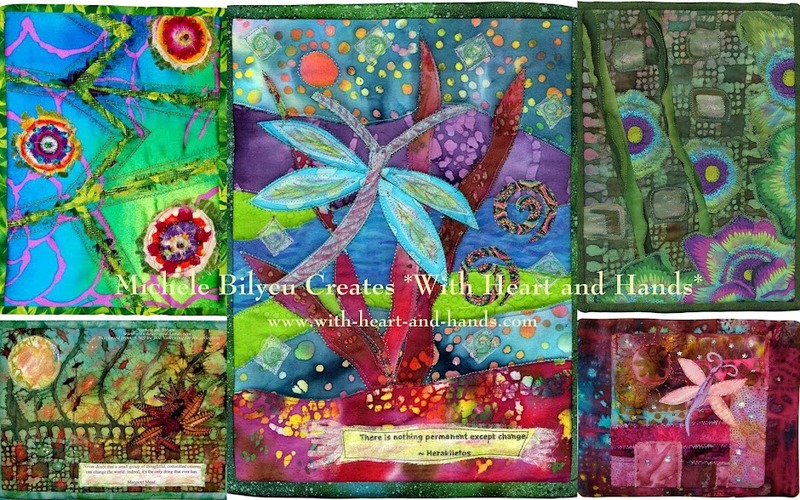 "Be My Valentine Heart Mug Rug" pattern. Thank you Michele for sharing your 'secrets' - awesome mug wrap! My mugs have been naked too long...think I will give this a try.